General purpose household bleach may be used for a variety of cleaning tasks. When used with your favorite laundry detergent, it effectively removes stains and brightens whites. Chlorine-based formula disinfects and deodorizes brick, ceramics, cement, concrete, fabrics and more. Application: General Purpose; Laundry; Applicable Material: Brick; Cement; Ceramic; Concrete; Fabric. ~ Includes six one-gallon bottles. 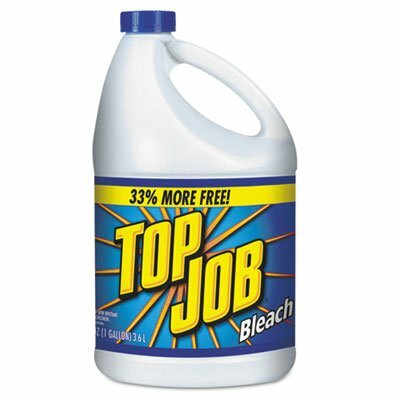 If you have any questions about this product by Top Job, contact us by completing and submitting the form below. If you are looking for a specif part number, please include it with your message.